THE COUNTRIES of Eastern Europe have a unique opportunity to combine the virtues of capitalism and socialism. If they do not seize the opportunity-and Poland, for one, seems to be kicking it away-they will be in danger of combining the vices of both systems. Capitalism’s virtues are the freedom and responsibility that come with being your own master. Its vice is class conflict. Only a small minority has so far enjoyed the capitalist virtues to the fullest, while a different and much larger minority suffers poverty and unemployment and hopelessness. Socialism’s virtues are the ideal of classlessness and the practical abolition of unemployment. Its vice is totalitarianism-and too often has prevailed. No nation has yet succeeded in combining the virtues and avoiding the vices. Perhaps it cannot be done, at least not on a large scale, or not for very long. Yet there is no doubt that some societies are vastly better places to live in than others, and that vast changes for the better are achievable in every society. It is sad when the road not taken is a better road. Something like the imprinting of goslings seems to be happening in the nations of Eastern Europe. The collapse of the Communist order has occurred at a time when the most visible examples of capitalism are limping badly. The fledgling democracies (or some of them) seem determined to copy as well as follow the limpers. The United States, Great Britain and Germany have shockingly high unemployment rates, and Japan’s is growing. In all these countries, the gap between the rich and the poor has always been great and has recently been widening. In all these countries, high or rising interest rates are regarded with complacency. In all these countries, the general will is so corrupt that the growth of unemployment actually is greeted with cheers and a rising stock market. In all these countries, a hyper volatile stock market is considered an indicator of prosperity. Nevertheless, those traits of the world’s most successful capitalist countries are regarded with envy by many of the new governments in Eastern Europe. Unemployment (previously unknown) is embraced as a necessity for free enterprise. Higher prices are somehow thought necessary to combat inflation (no doubt on the same theory that recommends higher interest rates to us), and lower wages are decreed (although in the future they will presumably be set by the free market). Forward-looking Hungary has been trying for several years to get a stock market going and is ashamed that an average day’s trading is still only 40,000 shares. How can arbitragers and brokers and takeover experts get along on such slim pickings? Poland hopes to do better and has dispatched a commission to see how we run our admirable exchanges. Such misdirections are bad enough, yet it seems likely that worse is in store. The newly liberated countries are being set up to recapitulate the disasters of Africa and Latin America. The setting up turns on a confusion of thought and may be only stupid, not deliberate. The disasters, though, will be real enough. The confusion is of capital and money. They are both necessary, but they are not the same. With capital you can make things. With money you can buy things, including capital. You cannot make things with money, nor can you buy things with capital, except on an insignificant scale. These distinctions, although elementary, apparently are easy to forget; otherwise the privatization of Eastern Europe would be a cinch. As matters stand, enthusiasts for privatization want to consult investment bankers (if they’re not bankers themselves), print up a lot of stock certificates, hire a hall or a curbside for a stock market, plug in their computers, and let her rip. There are complications, however. Consider the Polish tractor industry. The Poles make a pretty good tractor, but today they’re overflowing the factory yards. The factories used to be subsidized, and so were the farmers who bought them and the city folk who bought farm produce. Now none of them will be subsidized (this is the free market hope). A few city folk seem to have some money and are delighted to buy fresh produce off the tailgates of a few farmers’ trucks. The TV news programs report that a Harvard professor is pleased with this example of free enterprise. But it is pretty small potatoes and evidently does not build much of a demand for tractors. So there’s this tractor industry with the ability to make a product it can’t sell. Who will buy the operation? You might take a flyer on it if you could pick it up for, say, a quarter of what it cost to build. It might eventually payout, especially if somehow the Polish economy recovered from its self-imposed austerity. Then you could float a stock issue, which might respond to the cries in the stock market hall and make you very rich indeed. But we have not asked where you got the money to buy the business. Of course, you will have borrowed it. The new Bank for European Reconstruction and Development is being established for that very purpose-to underwrite privatization. Unfortunately the bank will have only about $12 billion to lend, and perhaps 30 or 40 times that will be needed. So commercial banks and investment banks around the world will be encouraged to participate, as they were encouraged to participate in the Great Recycling of OPEC’S winnings. The new financing will probably be structured more like a leveraged buyout, in that bonds will mostly be sold to “institutions” – pension plans, mutual funds, and so on. Needless to say, these junk bonds will be given a more high-sounding name. High sounding or not, junk is junk, as we’re beginning to understand. A subsidized tractor factory that loses money is not likely to become profitable when the subsidy is withdrawn and is replaced by interest charges of 14 per cent or more. In short, the privatization of Eastern Europe bids fair to wind up in something like a combination of the recycling of OPEC’S profits and the junk-bonding of American business. The newly liberated countries will find themselves burdened by unmanageable debt, while our institutions are burdened by uncollectible loans. The citizens of Eastern Europe, who so bravely and joyfully threw off the chains of communism, will be cruelly deceived. None of that is necessary. It will probably come about because the whole world seems to have confused finance with industry, or, as aforesaid, money with capital. Everyone assumes that what Poland and the rest need to do to become viable capitalist nations is sell their industry to entrepreneurs. What they actually need to do – and have the opportunity of doing – is transfer the ownership of capital, which is what they used to call “the means of production,“ to the workers, thus making them entrepreneurs. Take that tractor factory. It is currently owned by the State – that is, by the people who work there and all the other people of Poland. The same is true of the farms that used to buy the tractors and the grocery stores that used to buy the farm produce and every other productive organization in the country. To privatize their industries, all the Poles have to do is transfer the ownership from the people collectively to the people who work in each separate business. No money has to change hands; the capital exists. The new Reconstruction and Development Bank’s money can be used to finance modernization of the infrastructure. POLAND – and the rest of Eastern Europe – could become a land of producers’ cooperatives. It could combine the best features of capitalism and socialism (see “The Labor Theory of Right,” NL February 11-25, 1985, and “Faint Praise for Profit Sharing,” NL March 25, 1985). Its capitalists and laborers would not be at each other’s throats, because they’d be the same people. Its industries would not stagnate for lack of incentive. And all this could-can-be done at no cost. Contrast the situation in Eastern Europe with that of our unions trying to buyout United Air Lines. First, the unions have to offer an outrageous price for the company’s stock to save it from investment bankers who want to break up the company. Second, they have to issue junk bonds at usurious interest to pay for the stock. Third, they have to hire an executive for $9 million, not because he knows anything about running an airline, but because he has the confidence of the junk bond bankers. No doubt you can easily think up dozens of objections to the employee-ownership scheme; and if you’ll stay after class I’ll try to answer them. In the meantime, let me suggest that most of your objections will be similar to one raised recently by Barry Bosworth of the Brookings Institution. He points out that those who work for poorly run businesses would not get a fair shake, to which I reply that the bankers’ alternative would give them no shake at all. Others may object that the Polish tractor business, say, is hampered by obsolete machinery and a swollen payroll. What is to be done? The classic bankers’ solution would be to abandon the whole thing and start over, with a leaner work force and a meaner mountain of debt. The money would come partly from the new bank and partly from Ford or Honda or Mercedes. The new plant would be able to compete internationally. That is, it would cut into the sale of American or Japanese or German tractors, and naturally into American or Japanese or German employment. As for the Poles, many or most of the tractor workers would be out of a job that’s the principal reason for the new plant. Those remaining would find that their pay had to be held down so the plant could handle its debt service and still compete internationally. The debt service would of course go abroad, and so would the profits, if any. As in Africa and Latin America, there would be no winners from this creative destruction, with the possible exception of some foreign bankers. If Eastern Europe copies the mistakes of its Western models, the best it can hope for is that the suffering imposed on the present generation will be followed by a better life for the next generation. This, you will recall, was the promise of communism, too. Such promises are rarely fulfilled. A more likely fate is that of Africa and Latin America (and of the creditor countries as well)-being doomed to decades of what is politely called austerity because of the Great Recycling. The road less traveled by might still be taken. As Jake said to Lady Brett, isn’t it pretty to think so? 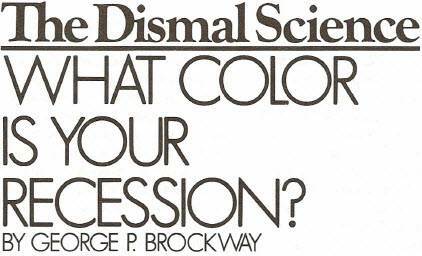 What Color is Your Recession? EVERYBODY SEEMS to have a theory about the when or what or how of a recession. The official or customary theory (I’m not sure what office decrees the custom) is that you have a recession if you have two back-to-back quarters of falling real GNP. Some journalists, apparently trying to avoid monotony, say you need to have six months of falling real GNP-which is a little bit harder to do. Federal Reserve Board Chairman Alan Greenspan has a different approach. A business downturn has to feed on itself for him to call it a recession. Before Greenspan will sit up and pay attention, inventories have to rise, causing orders for more goods to fall, causing workers who might make more goods to be fired, causing stores that might have sold goods to those ex-workers to lose business, causing them to cancel orders from their suppliers, causing more factory closings, and so on and on and on. The trouble with this is that if such a self-cannibalistic process should get started, Greenspan is not likely to be able to do much about it. The Federal Reserve Board was not conspicuously effective when it realized (some months after the event) that the Great Depression was upon us. Anyway, Milton Friedman, the monetary guru, says it takes two years for monetary policies to take effect. No doubt there are other recession theories. What difference do the different theories make? Suppose all those who are saying we’re in a recession, whatever their degree of technical sophistication, are right. So what? To be able to refer to “The Recession of1990-91” will no doubt be convenient for future historians, but how does it butter our parsnips today? Greenspan’s definition of a recession is so ominous. If, as he says, a recession is a disaster feeding on itself, there is not much that the monetary authorities can do; and if we are not in a recession, there is no need to do anything. His formulation is an ideal excuse for inaction. The “two quarters” approach to recession is only slightly less lethargic than Greenspan’s. According to this view, the last recession ended in 1982. It follows that we have had prosperity ever since-in fact, we are told, the longest sustained prosperity in our history. Thus the definition of recession is also important because when you say what you mean by recession, you ipso facto reveal what you mean by prosperity. The meaning of bad times implies the meaning of good times. How good are the good times we have been enjoying from the end of 1982 to the present? Let me count the ways. The national debt has increased from $1.137 trillion in 1982 to $3.319 trillion today. The annual trade deficit has gone from $7 billion in 1982 to $136.5 billion today (with two higher years in between). The nation’s atomic plants have so deteriorated that it will cost $200 billion to repair them. Likewise, at a similar cost, the interstate highway system. The United States of America, the world’s largest creditor nation at the start of the period, is now the world’s largest debtor nation. To be sure, we have been staying the course in order to conquer inflation. So what has happened? The Consumer Index has risen 34.7 per cent. Perhaps you are politically inclined and want to compare these eight Reagan-Bush years with the eight Kennedy-Johnson years. During the latter (which included the Vietnam War), the CPI went up only 22.7 per cent. The foregoing is not the worst that can be said of our allegedly prosperous era. The worst is what was done to people directly. In the years since 1982, the number of our unemployed fellow citizens has never fallen below 6.5 million and has generally been much higher. The number of those too discouraged or demoralized to look for work has hovered around 1 million. The number of those working part time has not fallen below 35 million. The number of men, women and children living in poverty has not fallen below 31.5 million. The number of the homeless can only be guessed at. Our infant mortality rate has become the worst of any industrialized nation. We have the most expensive and the least satisfactory medical care system. And the gap between the rich and the poor has steadily widened, reaching its widest in the figures just released by the Census Bureau. I submit that the economy sketchily described above is not prosperous. Nor is it “fundamentally sound,” although that meaningless phrase will be trotted out if anything more goes wrong. Certainly the current state of affairs is not so wonderful that it justifies “staying the course.” Every sane citizen must want America to do better. Therefore the customary definition of recession and the Greenspan definition are both mischievously misleading. We want to be alerted to any weakness in our society, and we want especially to be alerted to faltering in our striving to build and maintain a fair and free economy. We don’t have an economy simply to put chickens in our pots and automobiles in our garages. Communism in the Western world has collapsed because its objectives narrowed to just such trivia. When capitalism judges itself on the basis of its GNP, it risks succumbing to the same fate. We have economics so that we all can be free and responsible providers of our own sustenance, thinkers of our own thoughts, and definers of our own relationships with our fellows. By “all” I mean all. We have come a long way, and obviously we have a long way to go. HOW CAN WE measure our progress more precisely? We now have two statistical series that will serve at least for the time being. The first gives us the number and percentage of families living in poverty. To no one’s surprise, the proper way of determining poverty is in dispute. On one side are those who say that the reported numbers of the poor are too high because the definition of poverty is limited to cash income only and excludes the value of public housing, food stamps, Medicaid, and so on. On the other side are those who say that the reported numbers are too low because the definition of poverty is based on an estimate of the cost of necessary food, which is assumed to be one-third of the minimum budget. It is argued the estimate of the cost of necessary food is too low, and that other essential expenditures come to more than double the cost of food. We may eventually reach that happy day when we have reduced the number of poor to the point where it is vital to settle this dispute. In the meantime our performance is so disgraceful that almost any definition of poverty will serve to mark our progress (or lack thereof) from year to year. Whether the number is 31 million or 16 million or 40 million, it is shameful and should spur decent people to action. The other relevant statistical series shows the share of the national income that goes to the different quintiles or deciles of the population. Again there are disputes over details, and again the trend is a good-enough measure for now. Surprisingly, many people (among them Friedrich Engels) have fretted that perfect equality is either impossible or bad or both, but they really need not worry. The two statistical series-the number or percentage of fellow citizens living in poverty, and the distribution of the national income-are both socially revealing and economically crucial. A free economy not only produces goods, it consumes them. If significant numbers of the citizens are unable-for whatever reason-to produce goods, the economy is weakened. If significant numbers are unable-for whatever reason-to consume what is or might be produced, the economy is weakened. The supply side must be balanced by the demand side, or the whole thing grinds to a halt. The grinding to a halt is very like Greenspan’s self-cannibalism. It is not quite so bloodthirsty, but it is no less deadly. Real GNP may be increasing from quarter to quarter, yet increasing numbers of men, women and children are excluded. 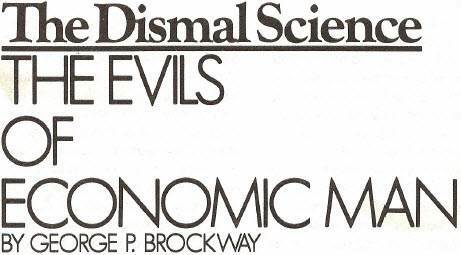 It may take decades or centuries, but the resulting stagnation and rot could destroy the society (see “The Evils of Economic Man,” NL, July 9- 23). We are not fated to destroy ourselves. To avoid destruction, however, we must first understand what can go wrong what is going wrong. The current popular tests of recession hinder-they do not help-our understanding. 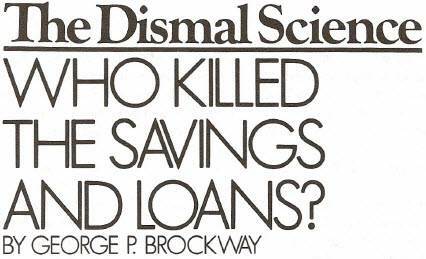 Who Killed the Savings and Loans? THE WAY WE’RE going, we’re not getting close to the truth about what happened to the savings and loans. It’s much easier to be bemused by the amount of money lost in the disaster, to be shocked by the skulduggery involved, to be flabbergasted by the bad judgment of rich men, to be titillated by political charge and countercharge. The $500 billion fiasco has been a long time in preparation. The first official action leading up to it was taken as early as March 1951, when the Federal Reserve Board got the Treasury to agree to a slight advance in interest rates. In his Memoirs, President Harry S. Truman criticizes the Reserve for failing to live up to its part of the agreement; but as William Greider points out in Secrets of the Temple, the issue became moot with President Dwight D. Eisenhower‘s election. Wall Street won out over Washington. The Reserve has, ever since, been undisturbed in following its gleam. When the media go beyond personalities, they explain that the S&Ls failed because they borrowed short and lent long. That is, they accepted deposits that could be withdrawn at will (30 days’ notice was often reserved but seldom enforced), and they lent against mortgages running 30 years into the future. The curious fact, however, is that the S&Ls were deliberately set up to act in this way from their beginnings in the Great Depression. They were designed to perform two functions: First, they would offer a safe depository for the small savings of the middle class; second, they would aggregate those savings and lend them to finance middle class home ownership. Because the functions were restricted, it was understood that expenses would likewise be restricted. S&Ls, it was reasoned, could therefore offer a little bit more than the going rate on the deposits and charge a little bit less than the going rate on the mortgages. And so it was. The new S&Ls were successful for more than 30 years. They were substantially responsible for the United States’ achieving the highest rate of home ownership in the world (a rate considerably higher than the present one). They were also substantially responsible for a rebirth of personal savings following the Depression. My wife and I were able to buy a home and start saving at a far younger age than either our parents or our children. For all those years that they were contributing to the wealth and happiness of the American people, the S&Ls were borrowing short and lending long. Obviously, something else caused the downfall. Plenty of people are ready to tell you the problem was inflation. Inflation is always bad for lenders. If the price level is rising at a rate of 5 per cent a year, anyone lending $100 today will receive back only $95 in purchasing power a year from now. At the same time, naturally, inflation is good for borrowers, who borrow $100 today and pay back $95 in purchasing power next year. But look at the performance of the S&Ls over the long run-specifically, over the life of a mortgage. In that run of 20 or 30 years a go-getting middleclass American will both a borrower and a lender be. He/she will borrow at the beginning and save toward the end. They will gain from inflation (if any) when they are young and lose to inflation as they approach middle age. From their point of view, there is much to be said for this balance. From the point of view of the lending bank, inflation is not without its compensations. Inflation of real estate prices has the advantage of improving the quality of the bank’s portfolio. Foreclosures will be fewer, and losses in each foreclosure will be lower. Taken by itself, inflation no more explains the S&L debacle than does the borrowing-short-lending-long story. Now we reach the root of the matter: What devastated the S&Ls was a tremendous rise in the interest rate. The first noticeable sign of things to come was a period of tight money in 1955-57, but no one expected the trouble we’ve seen. The Federal Funds rate in those years jumped from 1.78 percent to 3.11 per cent, and continued to rise. By 1965 the average S&L was earning only 0.5 per cent on its capital. Crises followed in 1966, ’69, ’74, and ’78. High T-bill rates and the new money-market mutual funds drained the S&Ls of deposits. When on October 6, 1979, the new chairman of the Federal Reserve Board, Paul A. Volcker, announced that thereafter the Reserve would concentrate on the money supply and let the interest rate go as it pleased (it pleased to go up), the S&Ls’ fate was sealed. In March 1980, the grandiloquently styled Depository Institutions Deregulatory and Money Control Act confirmed the seal. Practically unrestricted competition, coupled with $100,000 deposit insurance, guaranteed that the Savings and Loans, trying to escape the consequences of high interest, would engage in a binge of blue-sky financing and outright thievery. The only surprise is that the binge lasted for a full decade before the general collapse. But what could the Federal Reserve do? Doesn’t inflation cause the interest rate to rise? When all is said and done, isn’t the culprit the usual suspect-inflation? It’s too bad – $500 billion too bad – that the S&Ls got caught in the crossfire of the Federal Reserve’s war with inflation, but the war must go on, mustn’t it? Given the size of the S&L disaster, I suggest that the Reserve ought to have a pretty convincing explanation of the necessity for its actions. Chairman Volcker used to tell us that the interest rate was none of his doing but was the doing of the impersonal market. 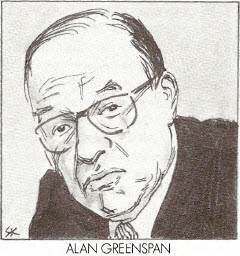 To the best of my knowledge, his successor, Alan Greenspan, has not said him nay. Well, if the Federal Reserve does not control the interest rate, I don’t know what it does do – unless, as W.S. Gilbert sang of the House of Lords, it does nothing in particular and does it very well. Of course, the Reserve claims to control the money supply. Its Federal Open Market Committee buys or sells government bonds (it could trade in other assets as well, but prefers not to). If it wants to contract the money supply, it sells government bonds until enough banks buy enough of them to reduce their cash reserves and hence their loan-issuing power. If it wants to expand the money supply (a stratagem that rarely crosses its mind) it buys government bonds and builds up the banks’ reserves. There’s more to buying and selling than stamping your foot and saying that’s what you want to do. Your price must be right. If you want to sell, your price must be enticingly low. A low price for a bond (or any asset) yields a high rate of return. Not only are banks eager to buy high-interest Treasury bonds, they are also quick to adjust upward the rates they charge their customers, whose credit, after all, is less solid than that of the U.S. Government. In the same way, when the Open Market Committee buys bonds at a high price, it drives the interest rate down. Because the money supply is not a precise figure (the Reserve publishes four different major and two minor ways of measuring it), the effects of this activity on the money supply are not precise. But it certainly does have determinate effects on the interest rate, and that certainly has definite effects on the cost of living. ALL OF WHICH brings us back to 1951. In the preceding decade the Federal Reserve Board and the Treasury worked together to maintain the price of government bonds, and the prime rate for most of those years – despite their including World War II and the first year of the Korean War remained steady (believe it or not) at 1.50 per cent. In 1951 the Reserve, worried about inflation, managed to break free of the agreement with the Treasury and thereafter devoted itself to controlling inflation by managing the money supply. As it happens, 1951 is the midpoint between the founding of the Reserve in 1913 and 1989, the most recent full year for the Consumer Price Index. Several fat volumes would be required for an exhaustive economic history of each period, and a thorough analysis of the impact of those histories on the CPI would be beyond reasonable achievement. Yet some events are clearly more significant than others. For obvious reasons, wars are held to be especially inflationary, while depressions are deflationary. World Wars I and II and the start of the Korean War occurred in the first period, while the Korean War truce talks and the Vietnam War occurred in the second period. The recession of 1920 and the Great Depression occurred in the first period, while there have been five (or six, if you count what’s going on now) recessions in the second period. So we may say with some justice that the control of inflation should have been no harder in the more recent period particularly since the Federal Reserve Board had now proclaimed this to be its primary objective – than in the earlier one. Board has been deliberately and ostentatiously fighting inflation, the inflation rate has gone up more than twice as fast as it did in the previous 38 years. On the record, the burden of proof is on the Federal Reserve Board to show that its policies, which have resulted in the destruction of the S&Ls, have been effective by any standard whatever. As I have argued previously (“Bankers Have the Classic COLA,” NL, January 9, 1989), a high interest rate causes rather than cures inflation. This will always be true because the outstanding nonfinancial debt in the nation is greater than the GNP. At the present time, the former stands at about $9.75 trillion, and the latter is about $5.4 trillion. 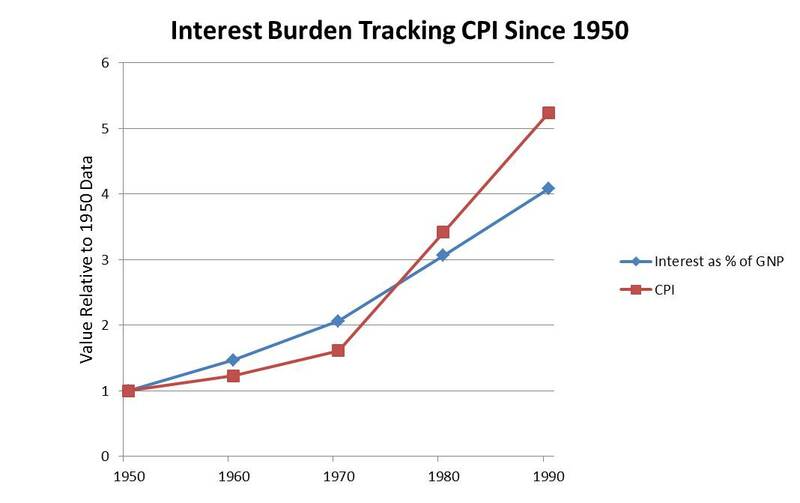 Thus each percentage point in the interest rate is paid for by an increase of $97 .5 billion in the general price level, while a one point increase in inflation costs only $54 billion. With interest rates currently running about six points above normal, this year’s net cost of the Federal Reserve Board’s inflationary policies will be $261 billion – or considerably more than the budget deficit everyone moans about. In comparison, the cost of the S&L mess is small potatoes. Nevertheless, it must be added to the other costs the Federal Reserve Board is responsible for. Several Presidents and Congresses have undoubtedly acted stupidly in regard to the S&Ls, but the S&Ls would still be operating and prospering to the benefit of us all if it were not for the stubbornly misguided behavior of the Federal Reserve Board. NINETEEN NINETY bids fair to go in the books as the year of ironies. Everywhere economists are being asked the way out of the present Slough of Despond – and everywhere economists are sure only of the way in. The Soviet Union and its former satellites are in trouble. Both industry and agriculture are failing. Crime and corruption are rampant. Store shelves are empty. Prices are soaring. Unemployment is rising. The solution (so everyone says) is to become like us. But we are in trouble, too. Six million Americans are unemployed, another million are too discouraged to seek work, and 23 million are working only part time. We’re just beginning to find out how many of us are homeless. More than 31 million have no health protection. There are 15 nations whose citizens have a longer life expectancy than we do in this country. Among the industrialized nations of the world, the U.S. ranks low in literacy and lower in comprehension of mathematics and science. We have finally acknowledged that the Head Start program enormously improves the effectiveness of our schools, but we provide it for merely a small number of our children. Our banking system is in disarray. The part of it that was created to encourage home ownership and personal saving has been destroyed by doctrinaire “deregulation,” and it is now estimated that it will cost over $500 billion to clean up the mess and payoff the depositors. Commercial banks are choking on nonperforming real estate and foreign loans. Investment banks are being bankrupted by their own greed. Our atomic plants are in disrepair; some must be closed down as dangerous. Repairing them will cost upwards of $200 billion. Our highway system, most of it more than 30 years old, is also crumbling and will cost hundreds of billions to restore. Meanwhile, we seem to be unable to find a few billion to try to pay for the damage that we caused directly in Panama and indirectly in Nicaragua. Our troubles (so everyone says) are caused by our deficits, which (so everyone says) are caused by our lack of saving. The solution (so everyone says) is to become like Japan. But Japan is in trouble, too. Perhaps a trillion dollars has been lost in its stock market so far this year. Despite the best efforts of the Bank of Japan, the yen is erratic against the dollar. The inflation rate is only a fraction of ours, but it is rising. Speculation in real estate has made home ownership impossible for all except the very rich. The Japanese standard of living has never equaled ours and is only coming closer as ours falters. The secure and happy life of the Japanese worker has always been a fable propagated by the American business press. (See “How Our Sun May Rise Again,” NL, July 12-26, 1982.) The position of Japanese women is at a level we reached a century ago. Japanese invest in American real estate, like Radio City, because it is so much more profitable than Tokyo real estate; and in general Japanese investors are finding fewer and fewer opportunities at home. The solution (so everyone says) is to cut down on regulation and become more like us. Then there are the two Germanys, whose situation is nicely described in Cynthia Propper Seton‘s A Fine Romance ( one of my favorite novels, which I’m rereading for the fifth time}:”Proust discovered that all our desires are fulfilled on condition that they do not bring the happiness we expected from them.” The West Germans will get all that eastern land (except for Sudetenland and the Prussian part of Poland) on condition they clean it up and modernize it and re-educate its citizens. The East Germans will again become important people in the world on condition they realize they’re less equal than their Western cousins. Now that the Cold War is melting away, it is possible to see that these ironies have a similar, if not a common, source. We can for convenience call it the idea of Economic Man, who is selfishness incarnate and perhaps the one creature, real or imaginary, who can safely be referred to as “he.” No self respecting woman would want to be mistaken for him, but it is on the basis of his absolutely greedy behavior that economists deduce the laws they solemnly tell us about. He is an essential organizing idea of contemporary economics, just as mass and energy are organizing ideas of physics. Adam Smith thought Economic Man’s selfishness would be automatically curbed by competing selfishness, while Karl Marx thought it would be inexorably curbed by dialectical materialism (not his phrase), which is another way of saying class selfishness. Sixty of Keynes’ hundred years have gone by, but he imposed two conditions we have not met: no important wars (we have fought three: World War II, Korea, and Vietnam) and no important increase in population (ours has doubled, and the world’s has multiplied two and a half times). So Keynes would be justified in putting the end of the tunnel at least another hundred years down the road. Although it will be none of my business, I expect it will be a lot farther away than that. If “avarice and usury and precaution” are to be desanctified, we must create gods to put before them. Economic Man will not be easy to displace. Until we learn how to displace him, we face a long, slow, erratic decline. By “we” I mean not only the countries mentioned above but also the rest of the world – all of us. REGARDLESS of what a society considers good, there is, at least in theory, some point above which an individual’s income can provide more of that good than a person has civilized use for. Conversely, there is some point below which an individual’s income provides little or none of the good. Economic polarization has malign consequences across the distribution scale. The poor are unable to buy the products that industry could produce; industry consequently has fewer opportunities for further expansion; the rich consequently have fewer opportunities for investment; workers consequently have fewer job opportunities. If the rich are frustrated in their attempts to consume their incomes, they turn to speculation. The amount of money that flows into speculative markets – preeminently the securities markets – is increased; so prices in these markets escalate. Escalating security prices force corporations of the producing economy to increase their “normal” or planned profit in order to attract the capital necessary simply to continue in business. Planned profit is in conflict with wages; so wages must be further restrained or employment reduced or “rationalized,” thus increasing polarization and narrowing the market for industry’s products – a phenomenon Professor Robert Averitt calls “The Paradox of Cost Reduction.” Such a situation cannot correct itself. On the contrary, the amplitude of the difference between the rich and the poor tends to increase, and the numbers of the rich and the poor tend to increase, too. Until we make fundamental reforms, especially in income distribution, we can expect a series of crises and minicrises. The next one may come about as a result of Third World debt, or consumer debt, or trouble in the insurance business, or another market crash, or junk bonds, or (ironically) the end of the arms race, or something quite unforeseen. Whatever, with each crisis unemployment and inflation will inch upward. Not that long ago it was widely believed that if either unemployment or inflation stayed long above 5 per cent, there would be condign punishment of the politicians in power. Now 5 per cent for either rate is a cause for unabashed self congratulation. The slow deterioration of a society can go on for a very longtime. The Pharaonic World, the Roman World, the Medieval World, the Mandarin World, all stagnated for centuries. The modem world (it will be our successors who name it) can do the same. And it will do the same as long as we continue to worship Economic Man. This reminded me of a story about Henry J. Raymond, the Times’ founding editor and a member of Congress. One day he was prowling the House floor, trying to arrange a pair on an important upcoming vote, so he could return to New York on business. Old Thad Stevens (one of my heroes) asked, “Why doesn’t the gentleman pair with himself? He’s been on both sides of the question already.” Raymond’s successors seem to be straining to be on both sides of the junk-bond question. For my part, I’m ready to grant that Milken is (or was) a crackerjack salesman and a mighty cute operator. But a financial genius he was not. Certainly he was not the first investment banker (what an impressive-sounding job description!) 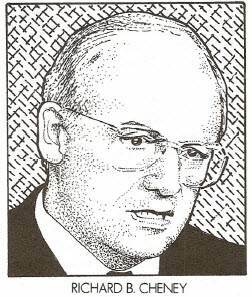 to sell carloads of not-of-investment-grade securities (see “Junk Bonds and Watered Stock,” NL, March 24, 1986). Nor is the New York Times the first journal to discover virtue in such super salesmanship. Nor, I daresay, is this the first time the Times itself has made such a discovery. Junk bonds are a slight variation on a very old theme, played at least as early as the Mississippi Bubble and the South Sea Bubble, both of which burst in 1720. I’m also ready to grant that a lot of emerging companies have been snubbed by banks, yet I rather wonder why. Having paid casual attention to some banks’ advertising campaigns, I was under the impression that nothing was more likely to make a banker’s day than an opportunity to lend a helping hand to a bright but inexperienced young woman with a new idea for a flower shop, or to a similarly energetic young man eager to play a part in the great drama of American business. If the banks weren’t seizing these opportunities, what were they doing with the money they persuaded us to deposit with them? Well, one thing they did was make Milken’s junk-bond business possible. They were no big buyers of junk bonds themselves (although the savings and loans snapped up about a tenth of those issued). Instead, they supplied bridge loans. When Robert Campeau made his deals to buy the Allied and Federated department store chains, he did not put up much cash. He counted on selling junk bonds, and he knew that would take a little while, especially since it was important to wait for the moment when the market was right. The banks loaned him the money to bridge that gap. After the bonds were sold, the banks would be paid off, handsomely. The trouble was, it turned out that the junk couldn’t be sold, at least not at the necessary price; so the banks involved couldn’t be paid off. They were stuck with nonperforming loans, and Campeau’s stores took refuge in bankruptcy. There are recurring rumors that one of the banks is on the verge of bankruptcy, too. Junk bonds aren’t doing a job the banks are falling down on; the banks are in fact doing the job indirectly by making all those bridge loans. The banks are essential players in the junk-bond game. Not surprisingly, the Federal Reserve Board (which is responsible for the availability of credit) doesn’t see a problem here, anyhow. The Board has just reported: “There is little evidence that a ‘credit crunch’ is developing; the majority of businesses say they have not seen any change in credit terms and have had no trouble getting credit. Where credit tightening by banks and thrift institutions has been noted, however, it has mainly affected newer small businesses and the real estate industry.” A medical researcher would scorn that diagnosis as anecdotal. It doesn’t mean much to say a “majority” of businesses have no trouble with credit; 49 per cent could be having a lot of trouble. Whatever the situation, we can be sure that the “newer small businesses” turned away by the commercial banks are also unable to find an investment banker ready to float junk bonds for them. The junk bond market being thin and precarious, a $3 million issue is about the smallest anyone will undertake. This assumes a company with upwards of $15 million or $20 million in annual sales. It is not the sort of stuff that made Milken notorious, but it is considerably more than can be expected from most newer small businesses. A new small business has always had a tough time and always will, for the reason suggested by John Maynard Keynes. “If human nature felt no temptation to take a chance,” he wrote, “no satisfaction (profit apart) in constructing a railway, a mine, or a farm, there might not be much investment merely as a result of cold calculation.” Every new enterprise faces a high probability of failure. Real estate, though, is a key industry. New Building Permits Issued is one of the “leading indicators” of the economy. No prosperity lasts long if real estate does not prosper. Moreover, we have great need of it. Not only do we have uncounted millions of homeless and ill housed; we are unable, in this supposedly family-oriented society, to provide enough affordable housing for young couples, employed and upwardly mobile though both partners may be. Still, as everyone knows, real estate loans are prominent among the troubles of savings and loans and of commercial banks like the one pushed to the brink by the Campeau fiasco. Why do the loans go bad? Not because the housing is not wanted or not needed, and only partly because prices are too high. It is the high carrying charges that are to blame. Real estate loans go bad for the same reason junk bonds go bad. The interest rates are usurious. The usury affects real estate developers (another impressive job description) and contractors as well as potential buyers, and commercial construction as well as residential. High interest rates are a main factor of high real estate prices – and of high furniture and food and clothing prices, too. Interest charges paid by the nonfinancial sectors of the economy are now in excess of 20 per cent annually. They were only 4.9 per cent of the GNP in 1950, rising to 7.2 per cent in 1960, to 10.1 per cent in 1970, and to 15.0 percent in 1980. These great leaps forward, culminating in today’s 20 per cent, didn’t just happen. They were carefully fine-tuned by the Federal Reserve Board. HIGH INTEREST becomes a self-fulfilling prophecy. What is prophesied is the probable failure of the borrowers. The probability is a risk the lenders must protect themselves from. They protect themselves by charging even higher interest. That, naturally, increases the risk of failure. Abstractly there is no end to the escalation of interest rates, for there is no end to the escalation of risk. Indeed, in a sort of Malthusian progression, risk increases geometrically while rates increase arithmetically. Actually, of course, the escalation does have an end, because potential borrowers are driven off. That may be prudence, but foreclosing production (or consumption) does not make for prosperity. It all comes back to the nation’s monetary policy – its rates and rules and regulations. Deregulation, combined with tightened credit, results in escalation of rates. Escalation of rates discourages production and encourages speculation. Junk bonds are just one of the forms speculation takes. Junk bonds are the creation of the nation and of the Federal Reserve Board (which is, absurdly, an independent power), not of the genius of a super salesperson. There is another issue here. The Times thinks that junk bonds are good because they force companies to become more efficient (and hence more “competitive”) in order to payoff the high interest charges. If this tale isn’t false, I wish somebody would cite a few shining examples. There are certainly examples on the other side, Allied and Federated department stores being first among them. Both chains were long established. I know, because in the days of my youth I spent many gold-bricking hours waiting in their sample rooms to see buyers. They were also successful. They’re not successful now. Furthermore, the usual test of efficiency is a fat bottom line, and the quickest way to fatten the bottom line is to fire some people and put a leash on the rest. But as John Kenneth Galbraith argued years ago in The Affluent Society, an economy that makes life unpleasant for people is something we don’t need. If the virtue of junk bonds is that they are a sort of handicap inspiring efficiency, why not try a different handicap by giving all the working stiffs a raise? It used to be said that management’s first test was meeting the payroll. Why wouldn’t meeting a bigger payroll be a better test than paying higher interest? THE THING about the peace dividend is that there is not going to be one. At least not the kind you and I long for. Not this year, and probably not next. The reason for this is quite simple: We live in a historical universe, a world where one thing leads to another, a world of time. If we lived in a world of equilibrium economics, where everything happens in an instant, we could have any kind of peace dividend we liked, just by hitting the right computer keys to switch the accounts around. It’s different in the real world. The arguments of Irving Kristol and William F. Buckley Jr. and the mysterious Mr. Z have nothing to do with our predicament. Even if Fidel Castro shaved off his beard and became a fellow of the American Heritage Foundation, we would still need the military-industrial complex for quite a while longer. The issue, however, is economic; it is not military. As you may have heard tell, we are alleged to be in the sixth or seventh year of one of the longest peacetime economic expansions in our history. It is not much of an expansion, to be sure, for most people. The defense budget, though, has grown handsomely – it has almost doubled, and by doing so has kept the expansion alive. Of course, the expansion would have been just as vibrant if we had spent those extra billions on public housing or better schools or controlling acid rain, but what’s done is done. Let’s look first at the military side of the military-industrial complex. Among the things Secretary of Defense Richard B. Cheney says we could perhaps do without are two Army divisions, or maybe three. With the various support troops, that could come to about 50,000 men and women – not enough to satisfy the most enthusiastic peaceniks, but a start, anyway. If deactivating the divisions is going to contribute to the peace dividend and save us some money, the 50,000 have to be taken off the Federal payroll. They have to be fired. I don’t know what these young people signed when they enlisted. I do know that they are all volunteers, and that we spent (and still spend) a lot of money on TV commercials during sports broadcasts persuading them that the Army is a real fun place. (The old Army, the one I was in, was more accurately described by Elliot Nugent in John Van Druten’s The Voice of the Turtle. When Margaret Sullavan asked Nugent if he liked the Army, he replied, “I don’t think you’re supposed to like it.”) In any case, we have a moral, if not a legal, obligation to these volunteers. We can’t just toss them out on the street. Even if we could toss them out, and did, they would then become part of the civilian problem. We’d have to use the peace dividend we earned by firing them to feed, clothe, and shelter them until we somehow found a peaceful use for the skills they had learned jumping out of airplanes and firing assault rifles. Of course, many of the young men and women in the services do have skills that are in demand. Military air traffic controllers, for example, and military police could fill a gap in the civilian world without breaking stride. The trouble is, we do not have enough money in the budget for more air traffic controllers, and there is certainly no money to share with the cities and states that are too broke to hire as many cops as they need. 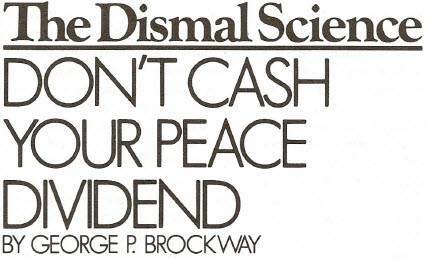 Again we find that the peace dividend is at best a swap (maybe a swap we ought to make), not something to put in the bank. Besides, if the military air traffic controllers all went to work for the Federal Aviation Administration (or whoever runs civilian airports), who would keep the Air Force from flying its planes into each other? The problem with the industrial half of the military-industrial complex is a little different. The workers can be fired, all right – certainly those on the factory floor – and they will wind up on the welfare rolls. Their reduced incomes will also mean some hardship for neighborhood supermarkets, the trusting banks that hold their mortgages and the Federal Deposit Insurance Corporation. The complex’ corporations, by contrast, if experience is a guide, won’t suffer. Once upon a time I edited a book by the late Blair Bolles called How to Get Rich in Washington: The Rich Man’s Division of the Welfare State. Bolles told how, at the end of World War II, some companies got more money for canceling contracts than they would have gotten for fulfilling them, how surplus truck spare parts were sold by the government for peanuts, and so on. General Dwight D. Eisenhower, then whistle-stopping through Pennsylvania during his first campaign, referred to the book glowingly (thus stimulating some welcome sales), until some spoilsport whispered to him that most of the rich men in question were Republicans. The bottom line (to preserve the metaphor) is that there’s no likely peace dividend here, either. All that is, I think, understandable; yet common sense cries out that somehow life ought to be better without a cold war than with one. And not only better for us, but for everyone around the globe. Certainly this was a better world after World War II than during it or, for that matter, before it. Why then and not now? Well, it’s no secret. There’s the Federal deficit, and the Federal debt, and now the states’ deficits. We can’t afford to shelter our homeless or to teach our children to read and write or to provide comprehensive health care as good as, say, ltaly’s, or a hundred other things. What’s possibly worse, we can cheer Lech Walesa‘s gruff courage in Poland until the rafters ring and can applaud Vaclav Havel‘s eloquence in Czechoslovakia with tears in our eyes, yet the only way we can think to help them is by reducing our aid to the Philippines or welshing on our obligation to repair the damage we did to Panama. 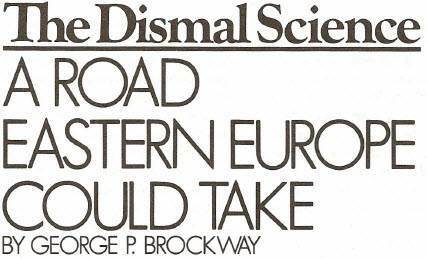 We shrug when we read Zbigniew Brzezinski‘s plan for Eastern Europe because we know we’re too far gone even to debate it. Everyone says we are in this mess because of the Federal debt. 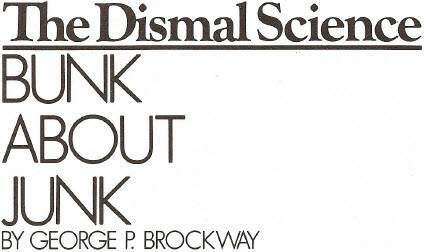 Leonard Silk said it in the same issue of the New York Times that carried Brzezinski’s Op-Ed article. But that’s nonsense. Last year’s deficit was $152 billion, bringing the national debt to $2,866 billion, which is equal to about 55 per cent of the GNP. On June 5, 1947, when Secretary of State George C. Marshall gave his famous commencement address at Harvard, the national debt was equal to about 115 per cent of the GNP. Then, as now, we had a President and a Congress of opposing political parties, and we had a national debt that was, proportionately, more than twice what it is at present. But we weren’t paralyzed. In the four years from 1948 through 1951, the Economic Cooperation Administration gave away $13.2 billion. Most of this went to the countries of Western Europe, although the Soviet Union was invited to participate, and Czechoslovakia actually did join but was forced to pull out. Some of the money went to the Near East and Asia, too. While no one claims that the Marshall Plan was perfect in all respects, no one doubts that it helped Western Europe recover from the War, and very few doubt that it was crucial to the recovery. Today we have a similar opportunity to do some good in the world, and we’re acting like J. Alfred Prufrock. The $13.2 billion the Marshall Plan cost us was 1.1 per cent of the GNP of those four years. What would 1.1 per cent of the GNP of the next four years be? In 1989 the GNP was $5,233.2 billion. If our famous expansion continues at its current rate, the GNP of the next four years will total approximately four and a half times that, or $23,549.4 billion. And 1.1 per cent of the astronomical sum would be $259 billion, or roughly $65 billion a year. As Senator Everett McKinley Dirksen would have said, that’s real money. It’s about 50 -repeat fifty – times what we’ll probably come up with. We’d be out of our minds to think so grandly, we are told. YES, WE WOULD be out of our minds-but not because we couldn’t afford it. We could afford it. We could afford it, and we could balance the budget at the same time, for that’s what we did in 1948-51, back in the days of Harry S. Truman, the supposed spendthrift. What I’m afraid we are incapable of now is summoning up the necessary intelligence and the vision to tackle the job properly. Although we have the successes of the Marshall Plan to show us what to do, and the disasters of the banks’ recycling of OPEC money (see” 100 Million Children Can Be Wronged,” NL, January 8) to show us what not to do, we also have an Administration that is at least the second most doctrinaire of our history. The Marshall Plan worked because it required each of the receiving countries to develop detailed recovery plans that fitted in with neighbors’ plans. The plans were theirs, not ours. Can you imagine the man who sent the Army and the Air Force into Panama standing for such namby-pamby stuff? He’s no wimp. The first thing he would do is send the Vice President to warn the potential recipients of our help against abortion and the capital gains tax. Today there’s no danger of our doing anything like the Marshall Plan or the Brzezinski Plan. Gramm- Rudman-Hollings and President Bush’s lips will forbid it. At best, we might pick up some crumbs at home. The Department of Defense is now eager to enter the war on drugs. It could be helpful. For my part, I’m skeptical. Recalling the old Army again, I remember that six months after Hiroshima morale was so poor that the more guards they put around supply depots and motor pools, the more hands there were to steal the stuff. It may be different with volunteer troops. There are other things that might be done, especially by the Army engineers, who could work on playgrounds and airports and roads as well as on the dams and waterways they always handle. Tent cities could be quickly established for the homeless on vacant city lots. The Civilian Conservation Corps, one of the most successful of the New Deal programs, could be resurrected. In fact, the New Deal had a lot of ideas that might be suitable, as we used to say, for retreading. Well, I dream. As I said at the start, I don’t expect that there will be a peace dividend. Not even a crummy one. TRYING TO UPSTAGE New York’s Democratic Senator Daniel Patrick Moynihan, who wants to stop using the Social Security Trust Fund to reduce the budget deficit, the Bush Administration has concocted something it calls the “Social Security Integrity and Debt Reduction Fund.” This is supposed to do part of what the Senator is urging, but in 1993 instead of now. The Senator, of course, had a pithy comment: “It is well known that the Federal budget is always in balance three years from now. Never, however, now.” It is equally well known that the Administration’s sudden action is motivated by fear that Moynihan’s proposal of a tax cut for everyone will show up President George Bush’s proposed cut in capital gains taxes as the rich man’s scam it is. Among the many things wrong with the Social Security tax, the two principal ones are, first, that it is regressive; second, that it is a tax on employment and both adversely affect the distribution of income. The regressiveness is generally recognized, except by those who have come to believe that all taxes must be regressive. Budget Director Richard G. Darman, for instance, claims the Moynihan tax cut would have to be replaced by some new tax that would fall on the same people and therefore be just as regressive. But that is nonsense. Some argue that while the Social Security tax is regressive as it is collected, it is progressive as it is paid out. The examples usually given are not encouraging. They show people who evidently lived in constant poverty, paid a high percentage of their minuscule incomes in taxes, and retired to receive benefits exceeding the taxes they had paid. But they were below the poverty level all their lives nothing to cheer about. Anyway, there is no reason on earth why Social Security should not be progressive when it collects as well as when it pays out. Furthermore, from the point of view of the Social Security system, there is no reason to replace the Moynihan tax cut. When Bush says, “The last thing we need to do is mess around with Social Securiity,” he implies that the Moynihan tax cut would reduce benefits either now or in the future. 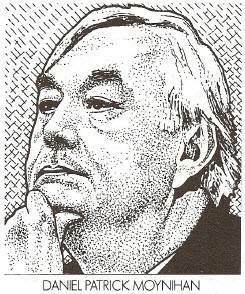 I’m sorry to say that Senator Moynihan allows us to make the same inference when he quotes a newspaper’s opinion that using the Social Security surplus to balance the budget is “thievery.” I’ll grant that it is skulduggery, that it is intellectually dishonest and economically counterproductive and unjust. People are conned into paying an unfair tax and liking it. Still, it is not thievery. No one gets away with anything, except politically. Neither present nor future benefits are at risk-at any rate, no more at risk than they will be no matter what happens. Budget Director Darman suggests that the Moynihan tax cut would make it necessary to raise taxes a couple of decades down the road to pay the baby boomers’ benefits as they reach the golden years. Yet taxes will have to be raised for that purpose then whether they are cut now or not. 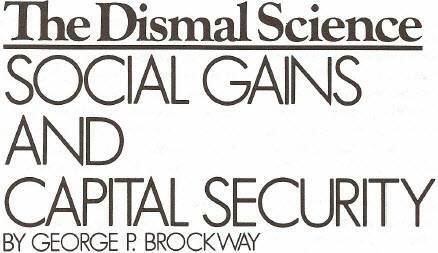 What is the Social Security surplus anyhow? It is not a bank vault stuffed with crisp Federal Reserve notes. It is simply some entries in a ledger showing that the Social Security Trust Fund owns some Treasury bonds. Once the boomers’ benefits have to be paid, the Treasury will be asked to redeem the bonds for cash. The Treasury doesn’t have a bank vault full of Federal Reserve notes, either. To get the money, it will have to ask the President and Congress to use some of that year’s taxes to make good on the bonds. This will happen regardless of the size of the surplus, just as the benefits I am now receiving come out of current taxes, regardless of what and when I paid in. Besides being regressive, the Social Security tax is a tax on employment. It taxes workers for working, and it taxes employers for hiring them. In addition, because production is achieved solely as a result of work, the Social Security tax is a tax on production. Yet the Chamber of Commerce and the National Association of Manufacturers and the Business Roundtable have not rallied around Senator Moynihan. That’s rather remarkable. Half of the Social Security taxes are paid by businesses, from the smallest to the largest. And the half paid by employees is a drag on business, too, because it contributes to costs. Moreover, the paperwork involved is bothersome and expensive (or so they used to complain). It would appear that business associations are more interested in the capital gains tax, which is paid by their members as individuals, than in the Social Security tax, which is paid by the businesses they supposedly are acting for. Well, we shouldn’t be surprised. Very little of what is reported as business news has anything to do with producing goods or services. Takeovers, buyouts and the like make big headlines – and big changes (usually unpleasant) in the lives of workers and the cities they live in. If there is evidence of these shenanigans having a positive effect on the production of goods and services, it is a well-kept secret. Nevertheless, that is the sort of activity the President is eager to encourage by reducing the capital gains tax. IRONICALLY, the same sort of activity would be encouraged should Senator Moynihan succeed in the second half of his ambition: to use the Social Security surplus to buy up all the public debt. The private funds released would, he reasons, be saved. Since it is a widely propagandized faith that our troubles are caused by our failure to save, the Senator imagines that prosperity would be around the corner. I have previously discussed John Maynard Keynes‘ theorem that saving equals investment (see “Much Ado about Saving,” NL July 13-27, 1987). What I overlooked in my discussion (and what Keynes overlooked in his) is that “investment” covers many noble works and a multitude of sins. If you have saved some money and want to invest it, you can buy a factory (fixed capital), goods to sell (working capital), some common stock (claims on future profits), bonds (which will pay fees for the use of your money). You can also put your money where your mouth is in Las Vegas or Atlantic City or any of several state-run lotteries. You can buy land or a collection of beer cans or rare stamps or a painting by some pseudo-Monet. That is not all, but it gives the idea. When you come right down to it, only the first two items (fixed capital and working capital) are investments certainly intended to result in production of additional goods and services. A company issuing stock gets its money from the first sale; no subsequent sales have any effect on production. In some instances, even the proceeds from the first sale may be intended merely to finance the purchase of another company, whose takeover may not in any way expand total production. As for the other kinds of investments, it is plain that they are speculations and have nothing whatever to do with production. Consequently, although saving may equal investment, as Keynes argued and as most economists today agree, and although production requires investment, it by no means follows that all investments are productive of goods and services. In the present state of our economy, there are not enough sound productive investments for the money already available. The lack of attractive investment opportunities is frequently cited as the reason banks became involved in the Campeau fiasco. When productive investments are scarce, money runs to speculation, as it has been doing in a turbulent stream for the past decade. After all, a very strong case can be made for the proposition that the Reaganomic shift of the tax burden from the rich to the poor is largely to blame for the stagnation of the economy and (if you want to fuss about it) the escalation of the deficit. This case is, indeed, far stronger than that for the Bush myth that cutting the capital gains tax would stimulate productive investment and increase tax collections (see “George Bush’s New Trojan Horse,” NL, September 19, 1988). If the Democrats were not determined to self-destruct still another time, they might combine the Moynihan and Bush proposals in a single bill, and let the President worry about being “responsible” for a change.